The reason for my lack of posts and general absence is because I've had a manic two weeks with back to back deadlines. 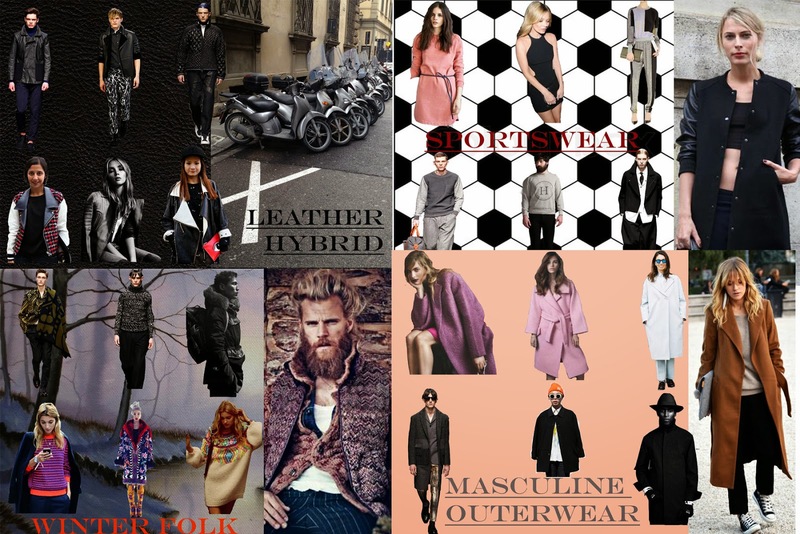 One brief I had was to create four trend boards and present them to my course. Thank God for WGSN and Vogue. I thought I'd share them with you all! 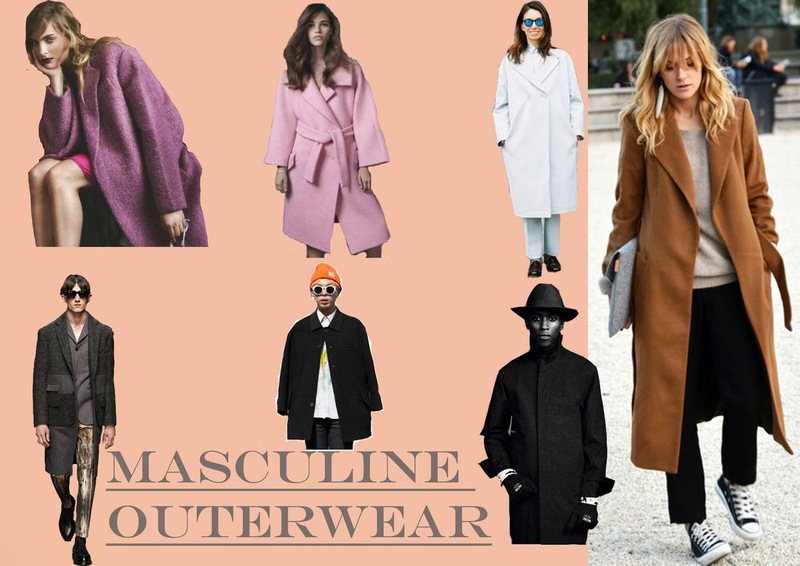 Masculine Outerwear has been around for a few seasons and it’s set to continue in Autumn/Winter 14/15. This trend is part of the Industrial Evolution Macro Trend, specifically when defined as “soft union styling and synthetic comfort”. The Boyfriend look is a carryover that builds momentum as we focus on oversized silhouettes and masculine coats. The oversized proportions and strict lines are made more feminine with slightly brushed fabrics and pastel colours. For men it’s all about the wool mac. There’s an indication of its transition from a classic item to a key fashion item. The option of warm wools and tweeds with panels and minimalistic detailing opens up this item to a younger audience. The sport theme is refreshed with bomber jackets, sweatshirts, racer front dresses and skinny track pants. Sportswear is part of the Rendering Reality Macro Trend, defined as creating tailored sportswear silhouettes. For women, the bomber jacket is back with a longer hem and texture references. Sweatshirt dresses are building on their success by stretching its commercial appeal with structured silhouettes. Racer Sport styling extends into party wear by shifting away slightly from the halter neck dress that was popular in Spring/Summer 13. The skinny track pants have been building momentum and widening its audience to people who like the skinny leg detail. In terms of male fashion, the key item is the premium sweatshirt. The premium designs push sportswear into a new market and demographic – it’s no longer limited to casual wear. A carryover into this season is the formal jogger. This more formal, tailored styling continues to grow and send the seasonal message of smartened sportswear. Winter Folk brings Mexican embroidery and clothing suitable for a rough terrain to the market. 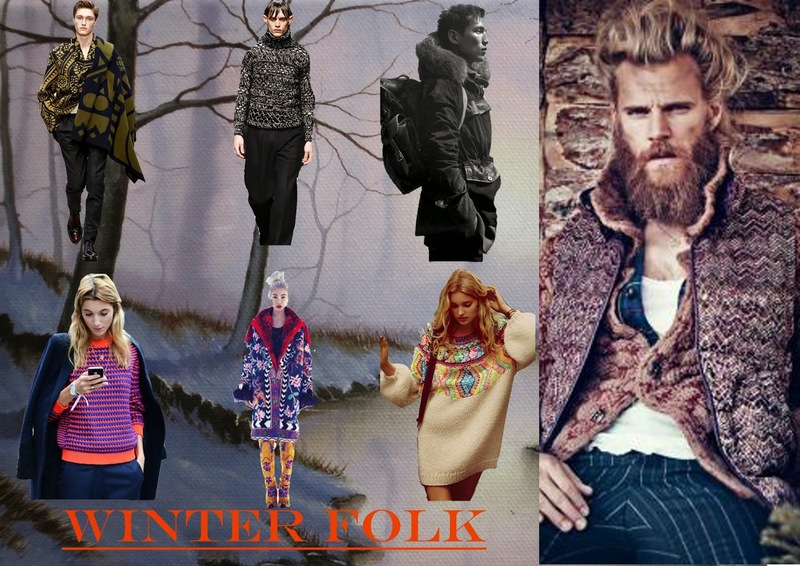 Winter Folk is part of the Modern Myth Macro trend which is defined as a “contemporary take on local legends” with details like hand craft and folklore. For female shoppers the trend is made up of textured knits ranging from simple ribs to shaggy loops. This is the perfect way to show this seasons Mexican inspired colours. The dimensional colours give this trend the chance to extend to a junior market who wants to make a strong styling statement. For male shoppers the carryover of the arctic parka becomes a fashion piece, rather than something practical. Textured knits are important as well. Heavier yarns and simple silhouettes feature throughout as it’s all about texture and dimension. For the braver fashion follower Aztec embroided shawls are available as seen in Burberry. 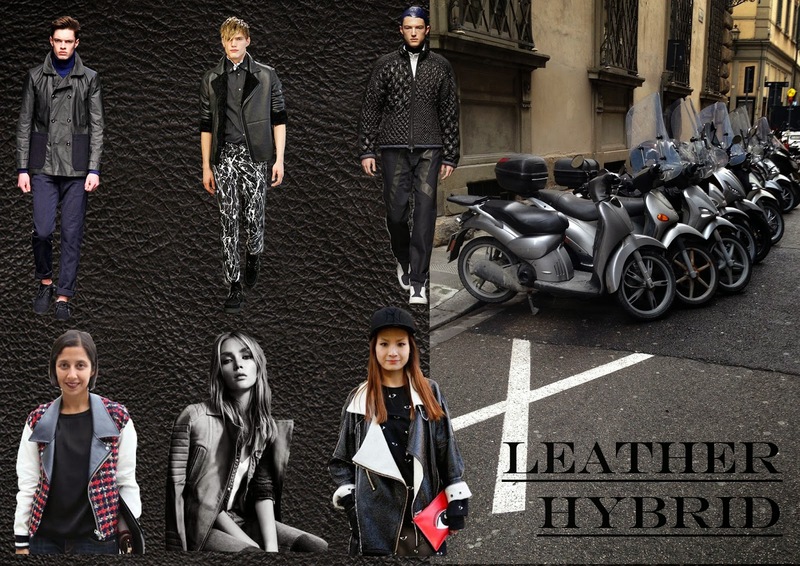 Continuing the success it has had all over the world, the leather jacket is back. This is part of the Industrial Macro Trend, under the Tough Luxe element according to WGSN. For women, the jacket is reworked with many trendy elements added such as varsity detailing, quilting or shearing to create a super-jacket hybrid. For men, it’s a core item this season. Instead of going down the grunge route, the jacket goes for the matt leather finish, giving it a more premium feel. It’s been seen on Gucci, Lanvin and Yves Saint Laurent’s runways. Which trend are you looking forward to the most? 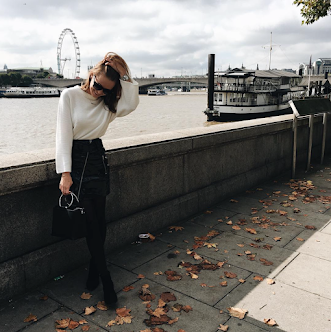 I am going to be all over leather and winter folk like a rash - I love it. How handy is WGSN for posts like these? Relief, I tell ya.